ANOKA, Minnesota - April 19, 2019 - Federal Ammunition invites attendees of the 2019 NRA Annual Meetings & Exhibits to booth 4955 in Indianapolis, Indiana. Those who stop by during the event, April 26 to 28, 2019, can meet shooting celebrities Troy and Jacob Landry, Caitlin Connor, Julie Golob and Colion Noir. Plus, popular online personalities Sportswoman Courtney and Hickok45. The father-and-son team of Troy and Jacob Landry, from the hit series “Swamp People®” on HISTORY®, put their lives on the line as they fight to make a living as professional alligator hunters. When they’re not after ‘gators in Louisiana’s Atchafalaya Basin using CCI Ammunition, they’re hunting big whitetails using Federal ammunition. Autograph signing on Friday April 26 from 4 p.m. to 5:30 p.m., and Saturday April 27 from 12 p.m. to 1 p.m.
Popular YouTube firearms reviewer Hickok45 and his son, John, rose to online fame thanks to humble, down-home personalities and trustworthy advice on guns. Launched in 2007, the gun channel now contains more than 1,600 videos that have drawn more than 3.2 million loyal subscribers and yielded more than 900 million views. Autograph signing on Saturday April 27 from 10:30 a.m. to 12 p.m. This popular blogger from Raleigh, North Carolina, chronicles successes and failures from her outdoor adventures. Courtney Smith—known to devoted fans as Sportswoman Courtney—also shares her love of conservation, hunting, shooting and fishing through a series of fun and informative videos and social media posts. Autograph signing on Saturday April 27 from 1 p.m. to 2 p.m.
Caitlin Connor began her journey as sporting clays competitor and member of the USA Shooting team at age 15, when she started shooting in the 4-H program. Just three years later, she took home her first international medal from the Minsk World Cup. 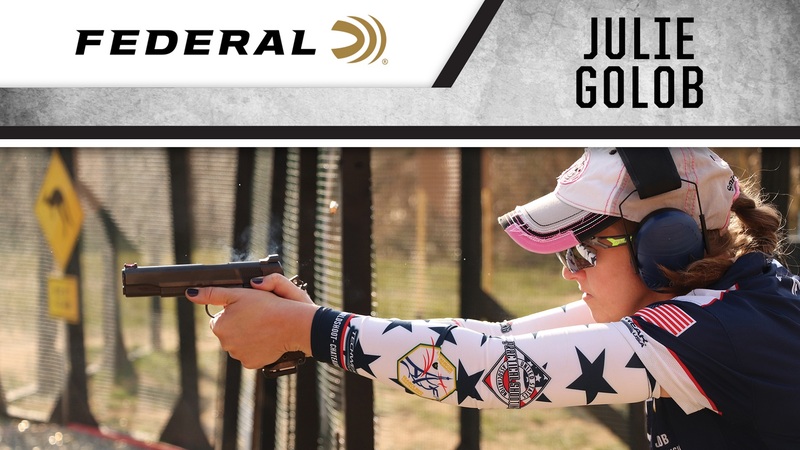 Autograph signing on Saturday April 27 from 3 p.m. to 4 p.m.
Julie Golob is a decorated U.S. Army Marksmanship Unit veteran and one of the world’s most successful competitive shooters, with more than 130 major victories under her belt, including more than 50 world and national titles. She is also the first and only woman to win U.S. national titles in all seven of practical shooting’s handgun divisions. Autograph signing on Saturday April 27 from 4 p.m. to 5 p.m. and Sunday April 28 from 12 p.m. to 1 p.m. This NRA Commentator and host of “NOIR” is also a YouTube sensation, practicing attorney, avid shooter and avowed defender of the Second Amendment. Colion Noir blends real-world experiences with legal insight and thought-provoking dialogue to fuel hard-hitting discussions on guns in America. Autograph signing on Sunday April 28 from 11 a.m. to 12 p.m.
Booth 4955 will also highlight all the latest Federal products. Attendees are encouraged to stop by throughout the show to learn more about these exciting new technologies and the advantages of choosing Federal ammunition. For more information on Federal, visit www.federalpremium.com.